Camping tents or mini tarp. Depending on the time and location of the campsite you choose. You can bring your own camping tents or mini tarp for your convenience. So when to bring a tent, when to bring mini tarp? 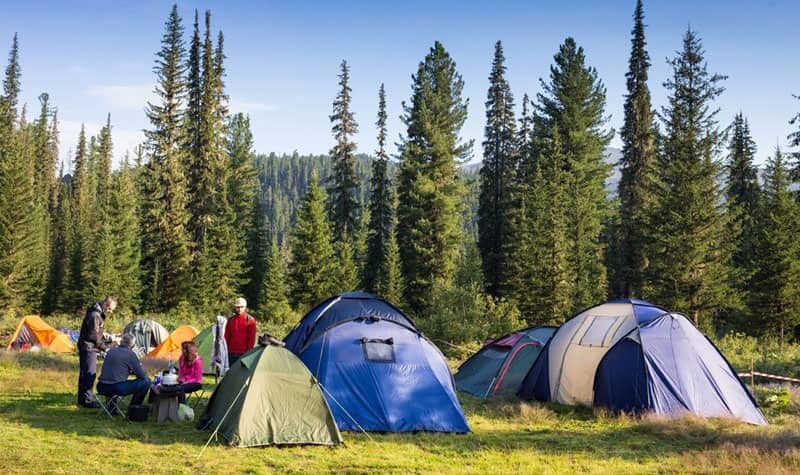 If you go camping overnight you should choose the tents wide enough for the whole group, preferring the choice of thick tent and porch to have more space for eating and drinking. If your outdoor tent is a non-eaves tent. You should bring a mini tarp (prevent sunscreen, rain cover, night dew …) to create a spacious space for all. If you go picnic during the day, choosing a size tarp just enough will be much lighter than carrying a picnic tent. One of the indispensable items when camping trip is the picnic rug. If possible, you should prepare yourself about 2 rugs, a picnic rug in front of the tent so that everyone can rest, sit or talk. The rest of the picnic rugs allow you to spread inside your tent. When camping trip, if you do not carry a rug (especially when camping overnight). You will have a sleepless night because the ground is too hard and cold from the ground will make you can not sleep. So how to choose the picnic rug? For the outside picnic rug (where playing, eating) you should choose the large size rug. So that everyone in the delegation have more fun space. The picnic rug does not require too much heat capacity, but you should still choose a waterproof mat to ensure that it will not get wet if the ground is wet. For a rug sleeping in the tent, this rug is quite important to your sleep. Prioritizing the thickest carpets will be more comfortable when lying down, and you also need to choose a sleeping rug with insulating silver layer below to ensure the body is always warm. Do not carry thin blankets as they do not keep warm while the size is not less than sleeping bags. You should choose a travel bag specifically for travel to carry. The specially designed travel pouch includes: head cap and body. Which are designed in the shape of a tube. So they can replace the bed cover and the function of the cushion so that it is especially comfortable for you. In addition, the size of travel bags today is quite compact and easy folding so carrying them on the trip is not difficult at all. A small note for you when choosing a camping trip pajamas is to choose a waterproof sleeping bag that will keep you warm. What should you eat? Before camping, you should prepare food before you go. Do not bring seafood, fresh items. Because there will be no refrigerator for storage. Especially when camping trip in the summer, these foods will be easy to smell. You should determine how long camping time. How many people to go camping to be able to prepare enough food. You should use Namilux Portable Gas Cooker to have good meals when camping. No one will go camping but ignore BBQ jubilant and of course, for those parties, the barbecue grill is indispensable. Depending on the number of people in the delegation, you can choose the type of large or small barbecue to fit every time you bring. Suggest to bring Namilux Gas Cooker Brand Vietnam. Water bags and thermos containers. 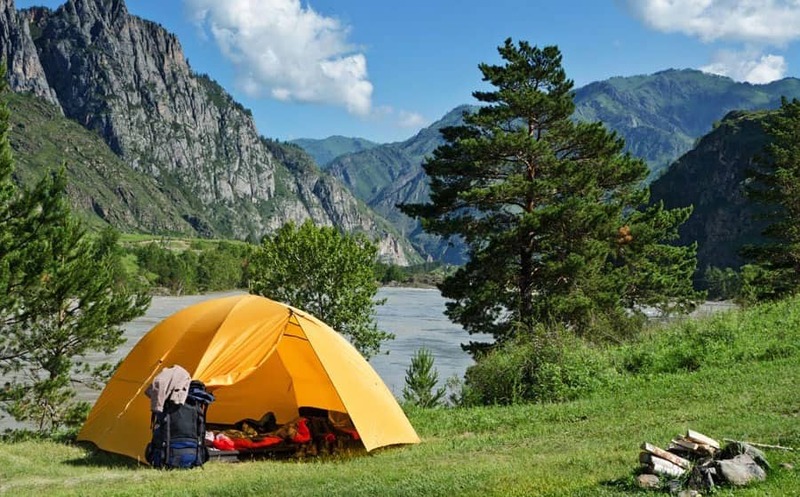 If camping trip in places where there are no nearby residents and no camping services such as camping in the forest. You should prepare water bags to ensure your activities. If camping near the lake. You should choose the location of the camp near the area for more convenient. In addition, if you bring a lot of fresh food. It is important to keep warm containers to keep the food fresh and undamaged when you travel a long way. Toothpaste, toothbrush, face towel are indispensable items. In addition, if you go for a picnic for 2-3 days. You should prepare more shampoo, shower gel for your trip. Women can bring some basic cosmetics to use, however, during these picnic trips you should simplify your skin care routine a bit.